Trust in My maternal love, that there are already 170 years ago, gave ye a powerful shield that is My Miraculous Medal, to defend you from all attacks of Satan, all the evils that in these final times, Satan unleashed in the world, with the goal of bringing all mankind to sin, damnation and ultimate doom. So that, My children, through the medals that I have given you, further I can always protect you, defend you and rid ye from all evil, that Satan wants you to do. 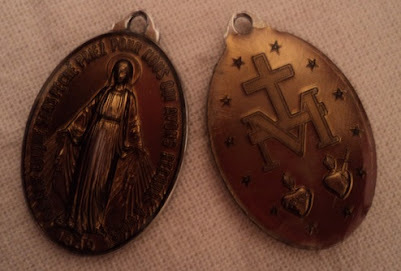 My Miraculous Medal is truly a priceless gift of My Heart to all My Sons, and thereby,through it, I realized in the world over the centuries, so many wonders! 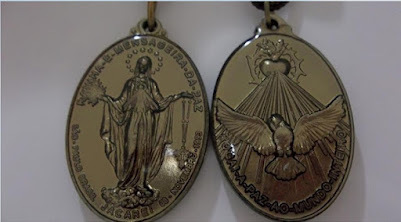 Can not be counted the number of souls that I took from the clutches of the infernal dragon, through My Miraculous Medal. 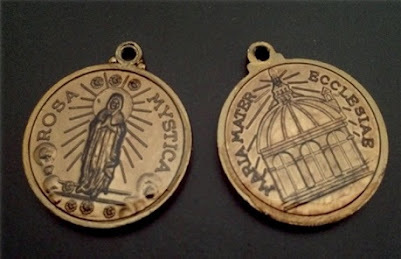 Trust, therefore, in my maternal love, who gave you this Medal as a lifeline in the midst of the shipwreck where all of humanity now sinks: the sin of apostasy, violence, hatred and rebellion against God and His Holy Law of Love. For that then, my children, you may be helped ever more, be relieved, comforted and sustained by thy Mother in Heaven. Trust in My maternal Love, that on My Miraculous Medal showed Itself ye mightily. Yes, your heavenly Mother who holds in His Hands the gilded globe, which symbolizes each one of you, the world, the France, the Nations, ye can see the love of the Mother of Heaven, who watches constantly by his sons, who never forgets, never leave them and never allow Satan to triumph over them. Since when I gave My Miraculous Medal to the world through my little daughter Catherine Laboure, truly, I say that Satan no longer has the last word on the souls, about the fate of the world and the Nations. 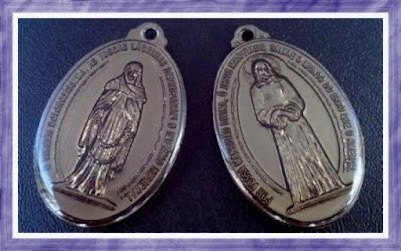 Thus, through this medal I ever more crush his head, always pour more over my children the grace that My Lord have given to Me, as a mighty river that never ceases to pour upon those souls who trust in My power as Mediatrix of all Graces! Yes, My children, in this Medal My Triumph ye is always more assured, confirmed. 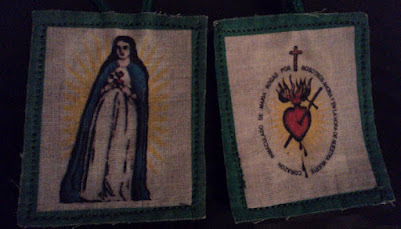 And thus, you must trust ever more in My motherly love, that there are already more than 170 years, ago you gave a powerful weapon in the fight against Satan and his kingdom, and already gave you a pledge, a sure guarantee of victory, of THE TRIUMPH OF MY IMMACULATE HEART . 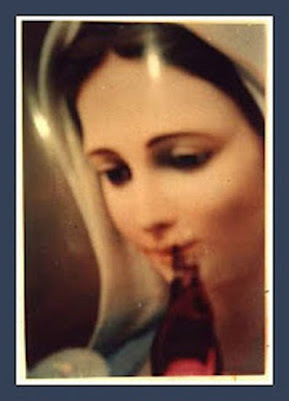 Your Immaculate Mother, terrible as an army in battle array, powerful, possessing all the graces of God, represented in the Miraculous Medal, is the great sign which the Apostle John saw in heaven to appear: The Woman clothed with the sun, Crowned of TWELVE stars, Powerful, terrible as an army in battle array, who crushes the serpent's head, crushing the great dragon. Yes, my children! I am your Heavenly Commander and you must follow Me now in complete docility to My voice, obeying everything that I have said in My Messages to the greater Triumph of My Immaculate Heart. In the difficulties, do not be discouraged! In the sufferings don't despair! In THE DEVIL'S TEMPTATIONS DO NOT GIVE A PLACE TO HIM IN YOUR SOULS, BUT PRIOR, shut all the doors of your senses, so that, YOUR HOUSE IS ALWAYS MORE, guarded of all evil, all sin, THAT IS, YOUR SOUL BE FREE OF ALL SIN. AFTER a sin, a committed foul, DO NOT STAY ARGUING WITH SATAN, THAT IS, BECAUSE WHAT HAPPENED AND HOW IT HAPPENED. But first, turn ye rushing to My arms, take My Miraculous Medal, take hold it with trust, AND PRAY THE PRAYER THAT IS RECORDED ON IT, AND THAT I teached My daughter Catherine Laboure, AND I PROMISE YE: I'll bring ye back to the WAY OF HOLINESS, AND EVER MORE, CRUSH THE HEAD OF THE INFERNAL SERPENT in your lives and in your souls. 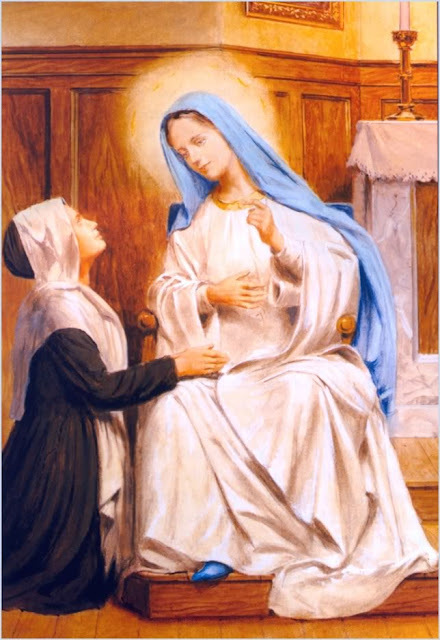 Follow the example of Catherine Laboure that has loved Me so much, and was so obedient to all My desires, which suffered so much for My Love, for My sake, and that gave Me so much glory, seeking by all means become Me known through of My medals. If you follow her example by praying the Rosary with love every day, and spreading My Miraculous Medal to all my children, So, you will hurry, and much! the coming of the Glorious Kingdom of Jesus and My Heart to the world, being the apostles of My Miraculous Medal, and the apostles who spread My Messages ever more to the whole world, and you shorten long, Advent, this SECOND ADVENT who you are living, which still separates you of the glorious coming of my Son Jesus. Therefore, My children: AHEAD! CONFIDENCE! Continue praying the Meditated Rosary that MY SON Marcos, makes FOR YOU, AND ALSO ALL THE PRAYERS THAT HERE I have given you, because through them, through you, every day, I RESCUE MANY SOULS of the clutches of Satan. 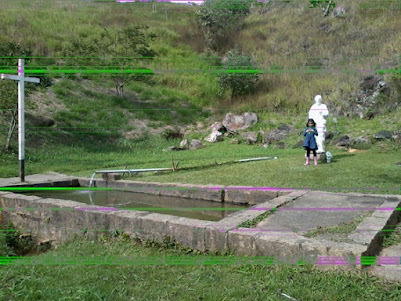 And in the silence and hidden of the world, I GOES EVERY DAY, MORE AND MORE BUILDING THE GREAT WORK OF SALVATION OF ALL MY CHILDREN! I bless all ye that use My Miraculous Medal, which divulgate it with so much love to all My children, which divulgate My Apparitions and Messages, that I did my daughter Catherine Laboure and especially I bless you Marcos, Apostle of My Miraculous Medal, Apostle of My Messages to My daughter Catherine Laboure. 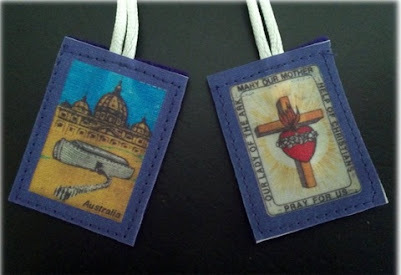 Thou, who is already one of the most glorify My Apparition to My little child, Catherine and my Miraculous Medal. 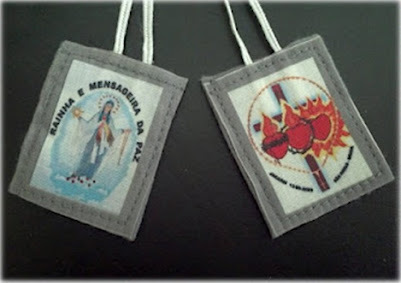 I do bless you all, from Paris, from La Salette, and from Jacarei. Stay in the Peace of the Lord..."